Kristmar Muldrow designed packaging for a conceptual pickled goods company. She says her first packaging project the project “continued to surprise [her] as it went in new directions”. 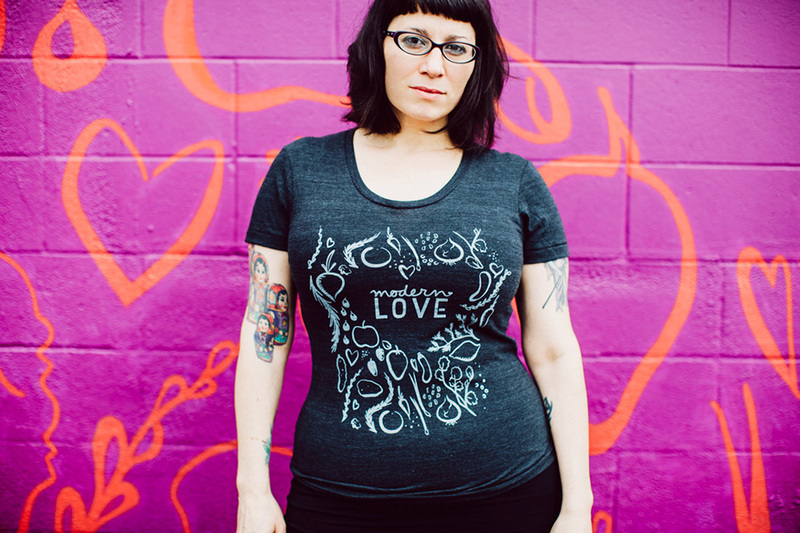 Letterer and illustrator Shauna Lynn Panczyszyn coauthored a book, Creative Lettering and Beyond. In her first year working full-time for a tech startup in NYC, Isha “single-handedly refactored [their] entire front-end code base”, including an upgrade to Bootstrap 3 as their front-end framework of choice. This was no easy feat, involving 70+ work weeks and the eventual removal of 14,000 lines of code. I’m extremely proud of my accomplishment, and feel ever more confident at architecting long lasting and scalable front-end systems for large-scale apps. Stacey McClure designed an identity for the 2015 Indiana Summit, “a conference that discusses the latest ideas and best practices of K-12 programs”. Following Stacey’s collaboration with IAN on the concept, logo, and overall execution, the conference saw an increase in registrations. 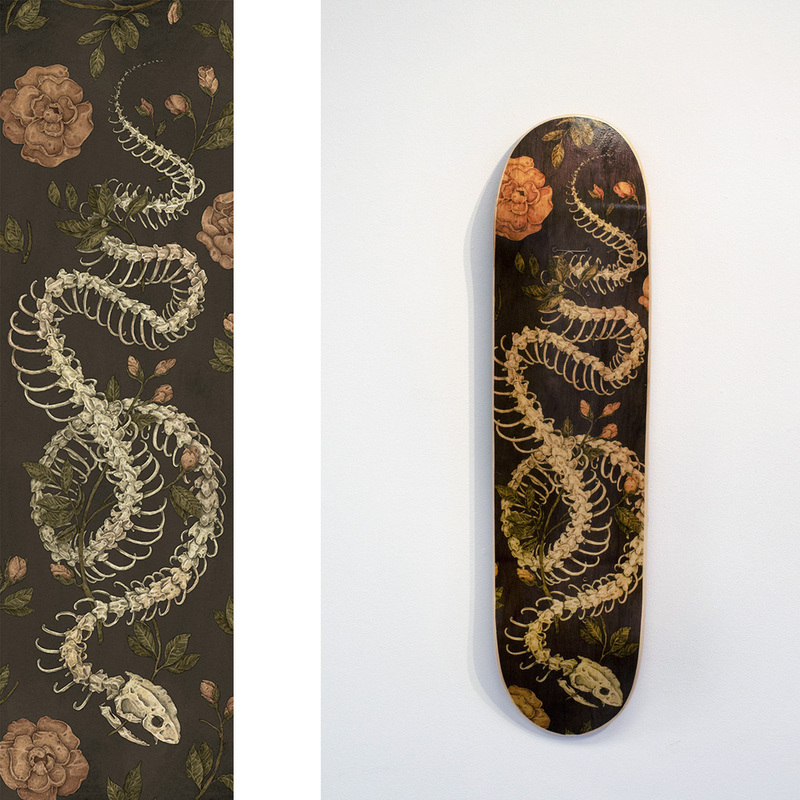 Jessica Roux’s illustration for Light Grey Art Lab’s Skate Or Die show was her “first time illustrating something specifically to go on a finished product”. Soofiya’s A Book for Two project—which seeks to create a non-solitary reading experience—won an award from SheSaysUk and best concept from ABW Award in Prague. Alexandra Sperrazza’s side project, Citrus Drops, was born out of necessity: when Alex makes citrus vinaigrettes for salads, she usually ends up storing the extra amounts in mason jars. She decided to make this whole process more efficient by creating a juicer attachment for her mason jar. Of her process, Alexandra says, “I sketched up a concept and took it to Rhino for a 3D model. The next day, I printed out the model and an hour later I had a lime green juicer! After taking it home to use, I was able to identify several areas to improve upon the design.” The end product was an effective an easy-to-clean tool. Jordan Whitney Martin collaborated with Megan Pryce on Unspoken, an “installation piece that explores unspoken and nonverbal forms of communication that humans use to express the emotions” that turned out great despite a time crunch. Jess wrote and made her first short film since college. The film was an opportunity to explore a project freely, rather than respond to a tight brief. Jess says, “It started a fire in me I wasn’t sure was still around, and I can’t wait to keep exploring this side of myself and my work”. 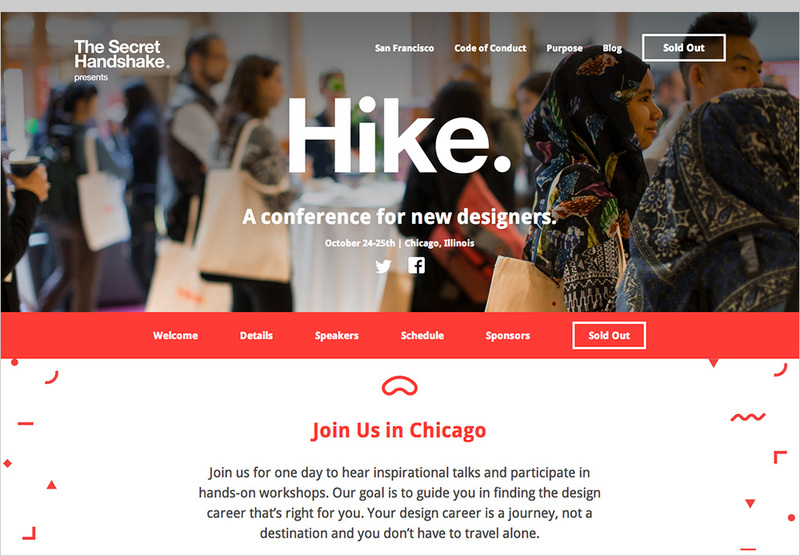 Laura Helen Winn launched a brand new design conference called Hike. The conference held events in in San Francisco and Chicago, and both sold out. Eileen Tjan began “the long process of starting a creative practice (Other Studio) and opened up my studio space as an event venue”. Sallie Harrison made 100 geometric kaleidoscope patterns over the course of several months. Iris Jong set a goal of 800 hours of drawing practice in 2014, and at time of submission she was on schedule for reaching that goal! That’s about 15 hours of practice per week, a great goal for “the intention of eventually reaching a professional caliber”. Ellen Wilde’s favorite project this year was the branding of Modern Love, owned by “badass” vegan chef, Isa Moskowitz. This was a big year for Ellen, who moved from Omaha, NE to Portland, OR to surround herself with talented folks and soak up that aspirational inspiration. By a chain of “serendipitous” events, Ellen is now also full-time freelance! Ellen says, “I’m so excited / scared / grateful to be working with some designers I have admired for quite some time”. Sidney Sue Howard got into the graphic design program at the University of Florida and landed her first job in graphic design and illustration. In her work at frank, “a public interest communications organization designed to spark social change”, Sidney is excited to work on projects outside of her comfort zone every week. Couldn’t have said it better ourselves, Amy! Can’t wait to see what everyone does with this new year.